I’m weird when it comes to chocolate. I love the stuff, but on top of only being able to eat good chocolate (unless it’s a candy bar) I can’t eat very much of it. I will take a few nibbles, and even though I like it I can’t eat much. Now, baked goods with chocolate in them are completely different. I would eat chocolate cookies, cakes, pies, puddings, or anything else for most any meal if I could. 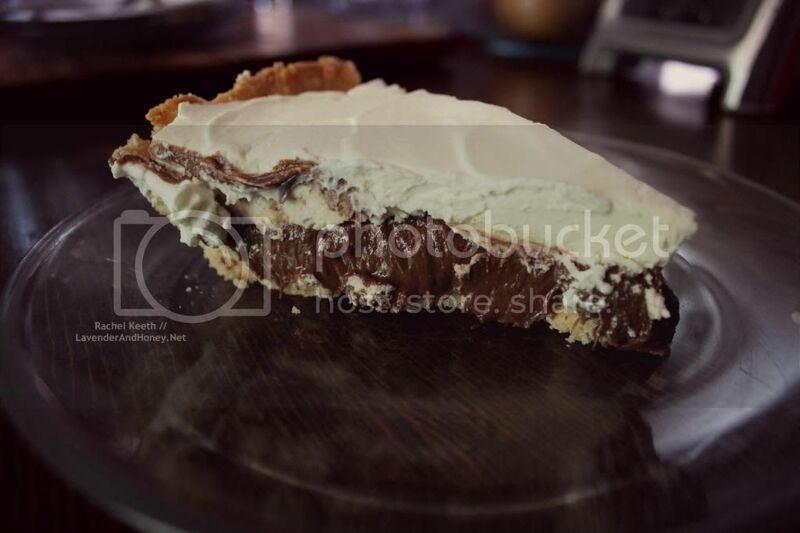 I recently started reminiscing on chocolate pies, most specifically one I made at New Years a couple years ago and one from Strawns in Bossier City. The pie I made a couple years back was really good, but no longer fits my dietary requirements with the Lyme (I am no longer on the Lyme diet and have switched mainly to THM). I also wanted a pie that resembled Strawns more with lots of yummy freshly whipped cream and a creamy consistency for the filling. I looked at a couple recipes online for inspiration, and then grabbed a pen and pad of paper to write down my recipe as I created it during the cooking process. 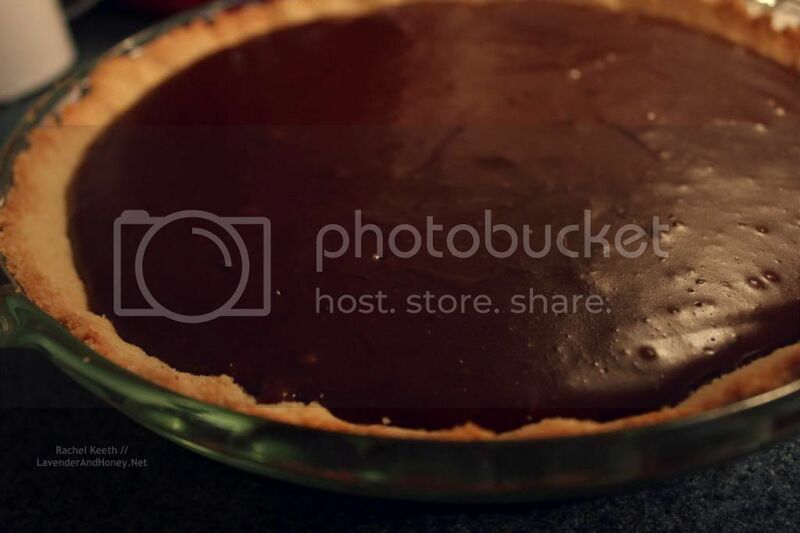 I was slightly worried about it–okay, more than slightly–because of using an unusual thickener in the pie, and also due to using Truvia which sometimes does not work well with chocolate. Thankfully the pie turned out just as well as I had hoped. I am majorly craving it now just by thinking about it. The crust is a combination of almond and coconut flour. 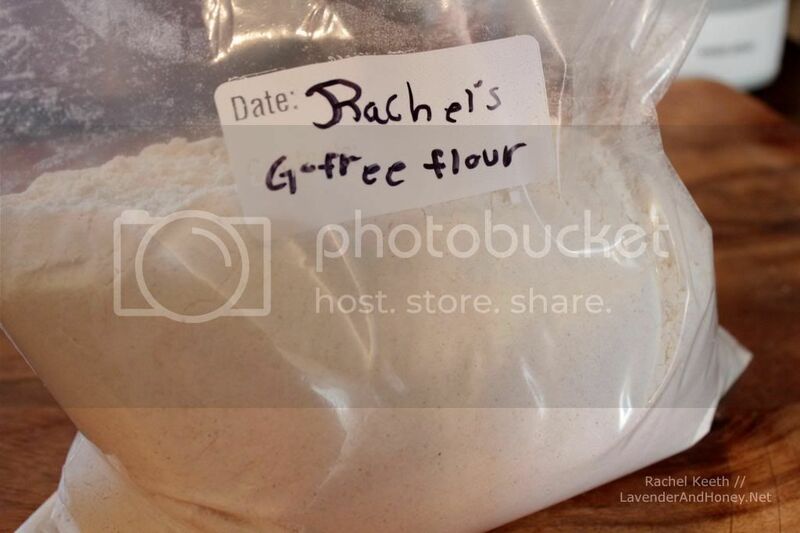 I used these instead of wheat flour to make the pie low-carb. This pie is gluten-free for those with allergies and is dairy-free if you use coconut cream instead of heavy whipping cream. For those on THM this is an S style dessert. Perfectly golden crust after baking. The yummy chocolaty filling is also both corn and gluten-free due to using glucomannan instead of flour or cornstarch to thicken. I was worried that I had not added enough glucomannan, because it did not seem to be thickening, but after adding the chocolate it set up nicely. Glucomannan is a wonderful low-carb thickener. Make sure you let it chill for at least six hours! At this point it had only chilled for two, which caused it to get pretty messy. Thankfully by the next morning the rest of the pieces had set up nicely. 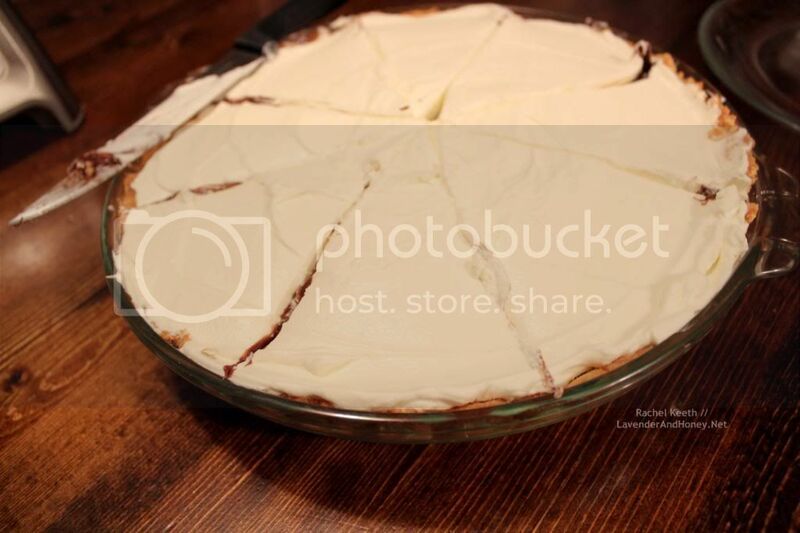 I love the way this pie turned out. The slight almond and coconut flavor of the crust compliments the chocolate well. The chocolate filling had a wonderful smooth texture and just the right amount of sweetness, so that even those who dislike dark chocolate can enjoy it. The topping adds that wonderful creaminess that compliments chocolate so well, and takes the pie up another notch. This pie is best eaten while watching the sun set, dragonflies fly through the air, and listening to birds chirping, all the while admiring the Lord’s creation. 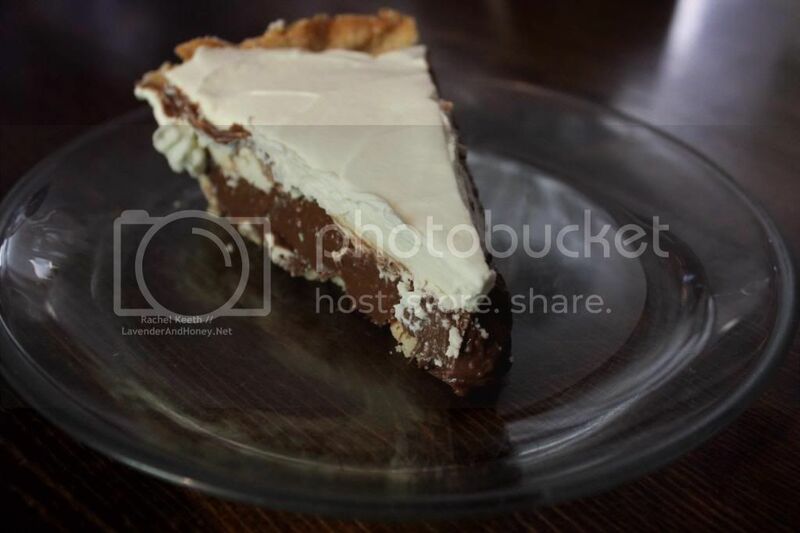 A creamy and scrumptious chocolate cream pie. Low-carb, gluten-free, corn-free, optionally sugar-free and dairy-free. For those on Trim Healthy Mama this is an S style dessert. For the crust preheat the oven to 350. 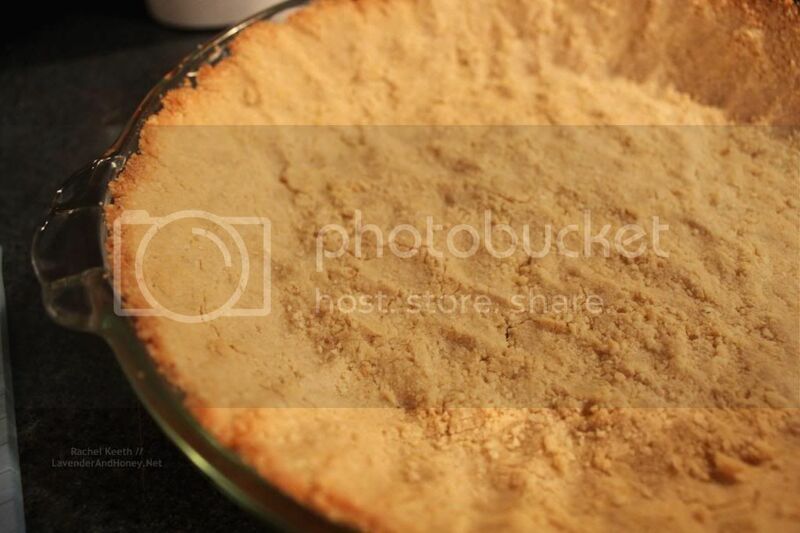 In a medium sized bowl combine all of the crust ingredients and stir completely. 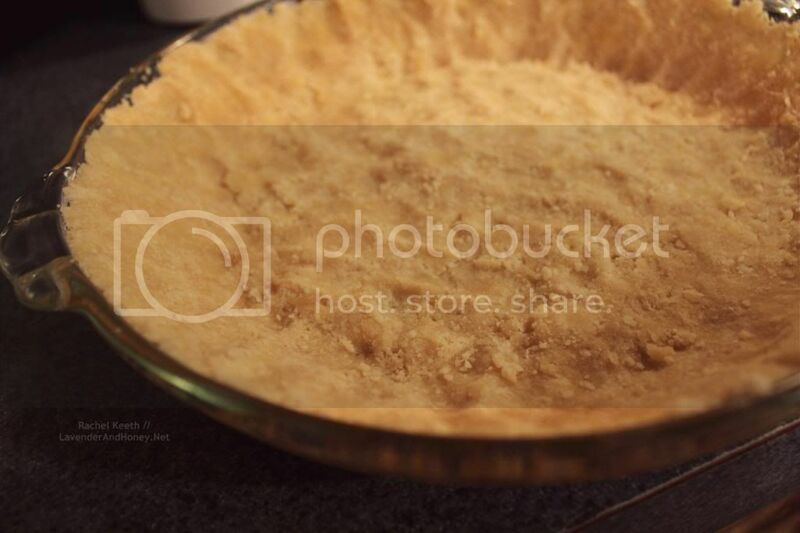 Press evenly into a standard pie plate and bake for 10 minutes, or until the edges of the crust are slightly golden brown. 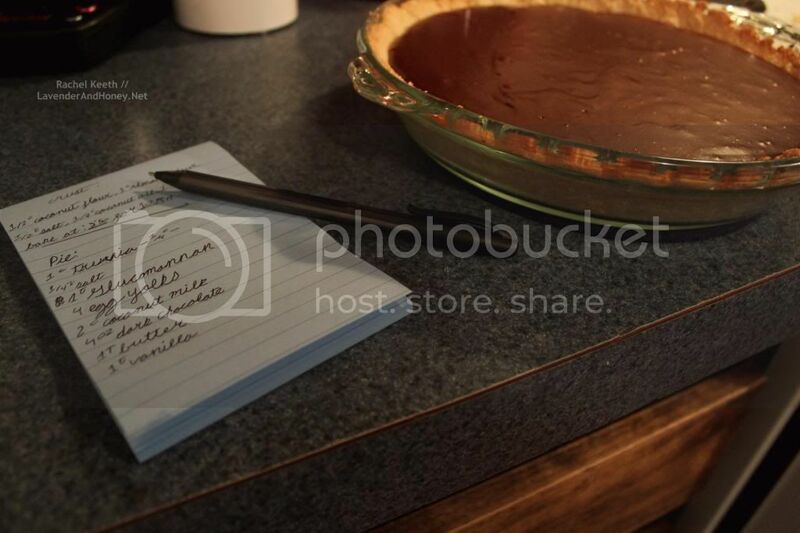 For the pie filling combine the Truvia, salt, and glucomannan in a medium-large sauce pan (with the heat off). Add the egg yolks and coconut milk, turn heat on medium high. Stir often to prevent lumps. Once to a light simmer add chocolate, butter, and vanilla. 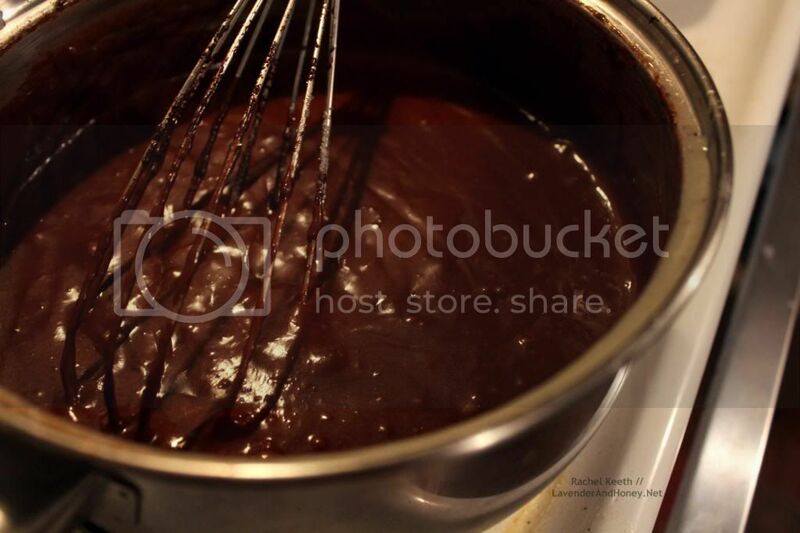 Use a whisk and stir until all of the chocolate is melted and the filling is thick. 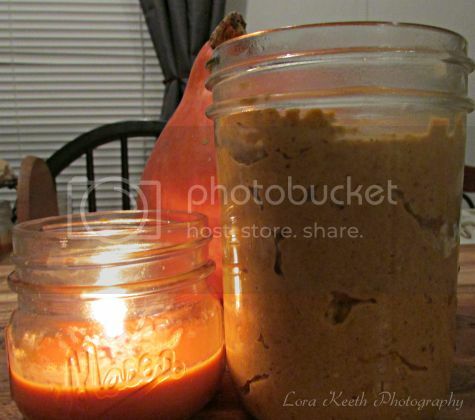 Pour filling into pie crust and chill in the fridge for at least six hours or overnight. The nutritional information is for the entire pie, not per serving. 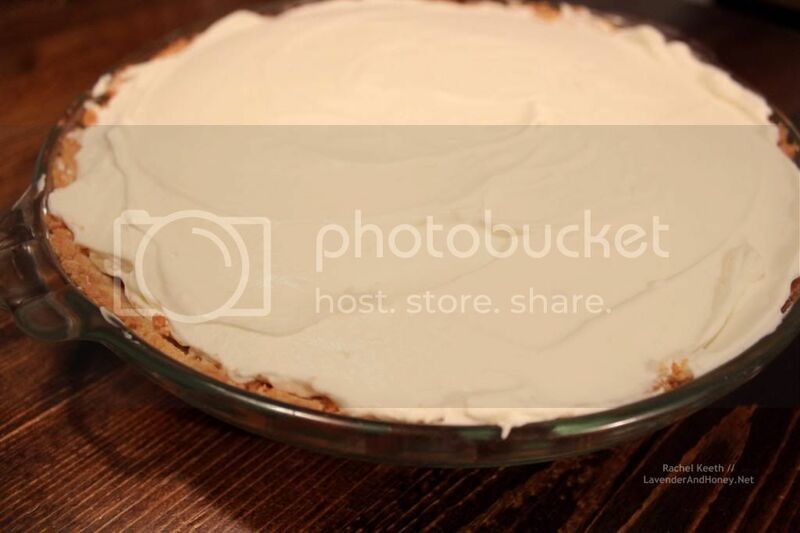 Per serving this pie has 77 calories, 8g fat, 1g protein, and 3g carbs. Originally posted on my blog, Lavender and Honey. Click here for the recipe on my blog, Lavender and Honey.